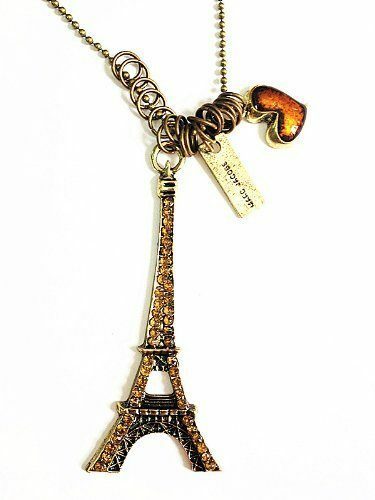 Eiffel Tower Necklace Just $1.99 + FREE Shipping! You are here: Home / Great Deals / Amazon Deals / Eiffel Tower Necklace Just $1.99 + FREE Shipping! I love this Eiffel Tower necklace, and right now you can get it for just $1.99 plus FREE shipping on Amazon! After clicking on the link, you will find it in the bottom row – 2nd from the end.